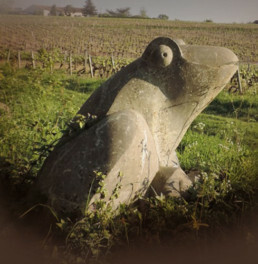 The melon of Burgundy, uniquevine in the region of the Muscadet wine, adapts itself to the perfection in the steep hills of the small symbolic village of the naming and in the capacity to grant with the perfection with the character of each of the soils of Schist and Gneiss, if characteristics of Saint Fiacre. The cuvee of the estate results from a blend of the majority of my plots. Thus, the grapes are growing on vineyards embedded on schist and orthogneiss. The average age of these vines is between twenty-five and thirty years. The grapes are mechanically harvested before going through the sorting-table. This process provides a quality harvest; the free run of the juice is carried out by gravity and under an inert gas environment, in the traditional glass-tile buried tanks, which are typical of the Nantes region. A twelve-hour rapid settling enables to keep natural nutrients and yeasts, essential for alcoholic fermentation. During twenty days, fermentation is maintained at low temperature (16°C) in order to render a lovely aromatic expression. Once the fermentation is complete, the addition of sulfur combined with tannins (free of taste), provides a better stability. The dose of sulfur is always calculated according to the SO2 molecular formula; the characteristics of the vintage are taken into account and calculated according to such parameters as pH, total acidity, degree of alcohol, and wine temperature. Thus, sulfur is added in the right quantity and in a single dose, and we do not have any excess sulfur which would prevent the full rendering of the aromas of the wine. Throughout the winter, regular lees stirring optimizes the contact with the winemaking lees. As is the tradition, I don’t carry out any malolactic fermentation. The estate cuvee usually spends six or seven months on lee before being bottled in the spring. 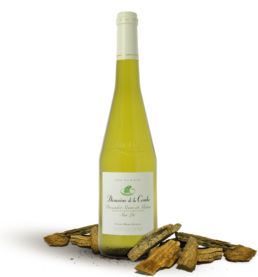 The outcome reveals an unequalled mineral, ‘tense’, fresh and slightly pearling Muscadet Sèvre et Maine sur Lie. Ideal to cool down on the terrace, or perfect to accompany oysters, all types of shellfish as well as raw fish.